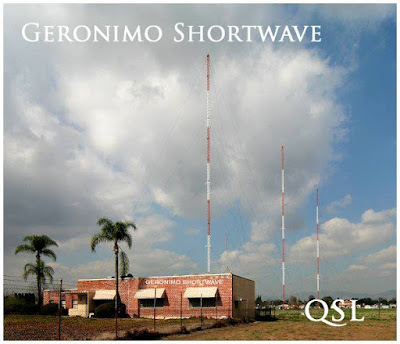 I heard today that the operator of shortwave pirate Radio Geronimo sadly died on Wednesday, December 28. Chris Watson, as he was known in radio circles, was very rarely heard on air, but was the driving force behind Geronimo throughout the 1990s right up to 2015. Before that he was the operator of Radio 48 - the very first AM pirate I heard and the station that got me hooked on our great hobby. Chris was originally based in Worcestershire in England and would go mobile to get Radio 48 on the air, often using woodland in his home county, Staffordshire, Herefordshire and Wales, sometimes sharing the same transmitter site with Radio Apollo, another big pirate of the time. 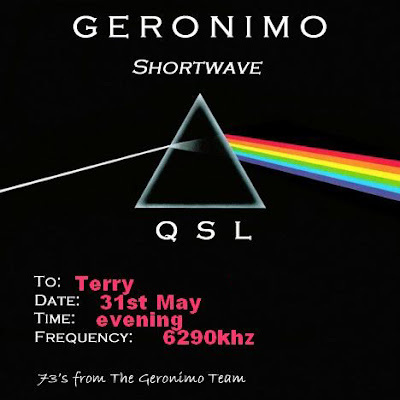 As Chris relocated to France in recent years Radio Geronimo was largely relayed from Ireland, although he had been very keen to get hold of a high-power transmitter to broadcast programmes himself just as he had done in the early years. He contacted me a few times to see if I could put him in the direction of any of the big Dutch pirates who would be able to help him with those plans. Having listened to his stations for many, many hours over the years, I spoke to Chris lots of times on the telephone when he would ring and request a reception report, and I also met him on one occasion. I visited him at his home in around 1993 when he was still in England, even though he was very secretive about his underground hobby. I once heard that he would hide listener letters under floorboards so they could never be found! Dave Scott, Radio Geronimo presenter and former operator of Radio Apollo, sums up Chris to perfection, saying: "He was a true stalwart of shortwave free radio, with a genuine passion and enthusiasm which never dimmed. 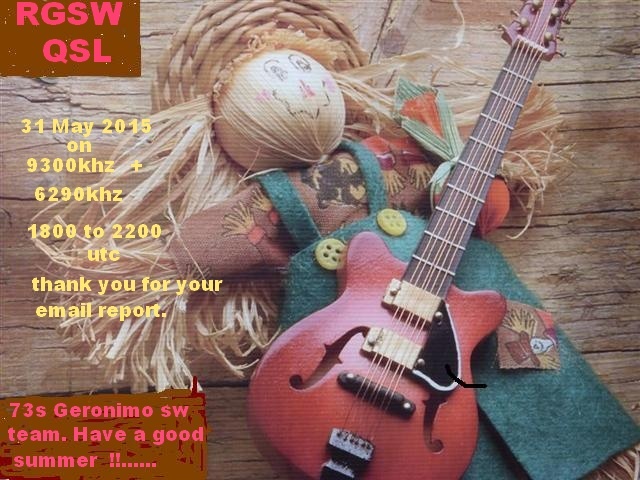 Shortwave will certainly be worse off for his absence." I, and no doubt all the AM pirates in the UK and Europe, echo those sentiments and send our condolences and very best wishes to his family. I heard him also often on the Short Wave, we are losing a good presenter ! Geronimo thanks for all nice programs. Condolences and best wishes to his family!